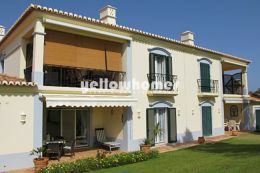 YELLOW HOMES - Land & Houses Algarve aims to offer you the most comprehensive property service, so we're constantly seeking partner companies to work alongside with similar high standards to our own. If you're buying an unfurnished or partly-furnished property, expert know-how can make a huge difference when it comes to transforming a house into a home. So Yellow Homes clients can take advantage of preferential offers from several well-established furnishings and interior design businesses. By using their experience in the market, our partners offer quality furnishing and interiors solutions at competitive prices. For example, a furniture-only package for a 2-bedroom property costs around €7.000, whilst a complete turnkey package (including soft furnishings, curtains and pictures etc.) can cost from €15,500. For those clients who seek elite solutions, we also have partners who offer top-quality designer furnishings plus unique, bespoke pieces. Using Yellow Homes partners, interior design and furnishing solutions are available for your new home - to suit your budget, your taste, and your choice. Just contact us for further information and contacts, and we'll be happy to assist in furnishing your dream villa or apartment in the Algarve.